You have been trapped in an ancient castle. 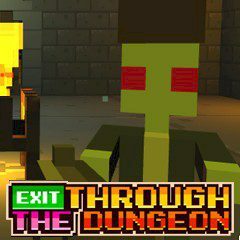 The doors are securely locked, but you heard a mysterious voice which told you that there was another exit through the dungeon. The only trouble is that you have only an UZI, and the dungeon is teeming with monsters.